Steve Vasturia begins his professional career in Europe, with Alba Berlin. EuroCup club Alba Berlin announced the acquisition of guard Steve Vasturia. He signed a contract for the remainder of the season with an option for 2018-2019. 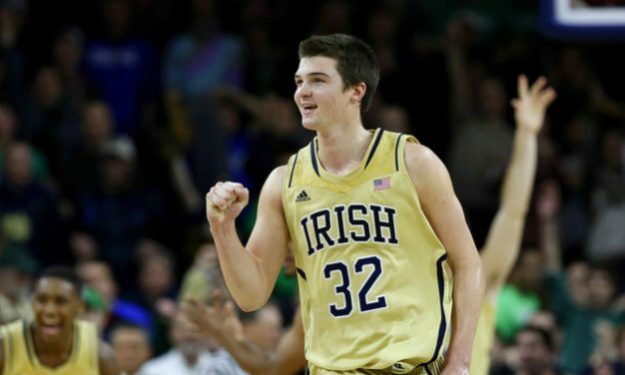 The 22-year-old American player graduated from Notre Dame University in 2017 after averaging 13.1 points, 3.9 rebounds and 3.3 assists per game in his senior year with the “Fighting Irish”. He went undrafted in the 2017 NBA Draft. Vasturia has been registered for both EuroCup (the second-tier European competition) and the German BBL League.